It is generally recognized that Chinese Canadians experienced more than six decades of legislated racism, through laws enacted by Canada’s federal Parliament, beginning with the first head tax on Chinese immigrants written into the Chinese Immigration Act (1885) and ending with the repeal of the Immigration Act (1923), otherwise known as the Chinese Exclusion Act, in 1947. However, if other discriminatory laws enacted by the British Columbia government are acknowledged, starting with the B.C. 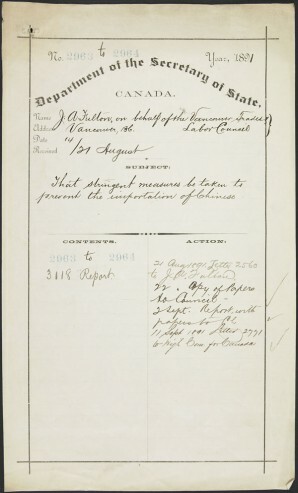 Qualification and Registration of Voters Act (1872) , then Canadians of Chinese heritage have faced 75 years of official discrimination – or more than half of the time that Canada has been a country. Even after the Exclusion Act was repealed, largely through community activism and the efforts of Chinese Canadian lawyer Kew Dock Yip and other community activists, openly racist immigration policies and laws affected growth of the Chinese Canadian community until the late 1960s. 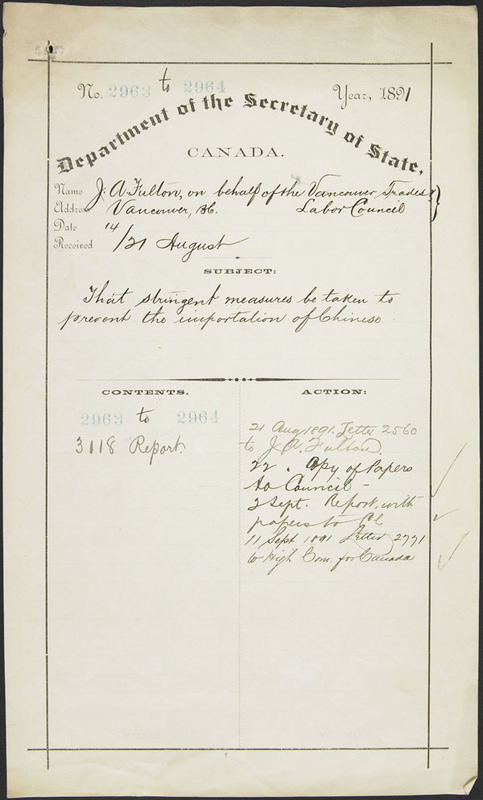 Federally, discrimination against the Chinese began just before the completion of the Canadian Pacific Railway in late 1885, when Parliament was pressured by B.C. politicians and organized labour to exclude them from all aspects of Canadian society. The Royal Commission on Chinese Immigration had released its findings in summer the same year.